Even if your garden becomes infested, don’t give up hope. 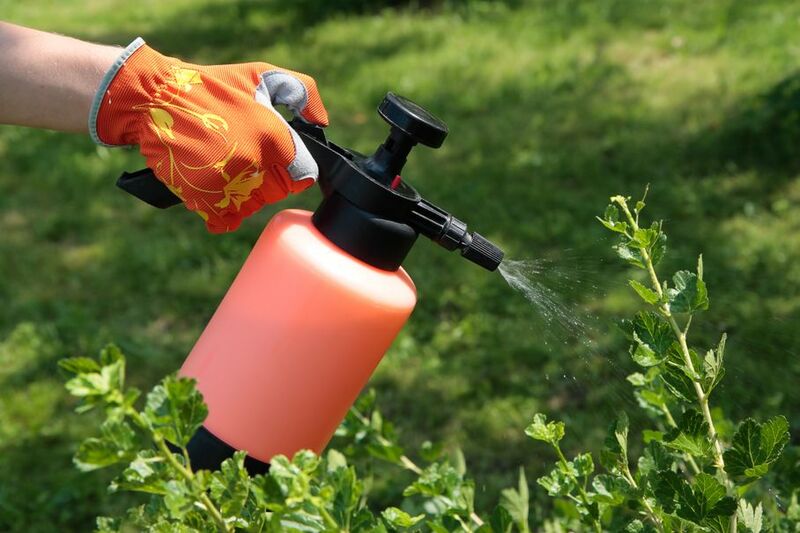 A common question I hear as we get into the heart of the gardening season is how to keep pests out of your vegetable garden. And although it’s asked a lot, the answer varies greatly because it depends on the pest we’re talking about. When a backyard gardener starts a garden in the early to mid-spring, there’s so much hope in the air. Your seeds and starts look wonderfully healthy and you’re watering and fertilizing on a solidly strict schedule, and you memorized all your favorite garden tips. “This is the year,” you tell yourself with all the optimism in the world. 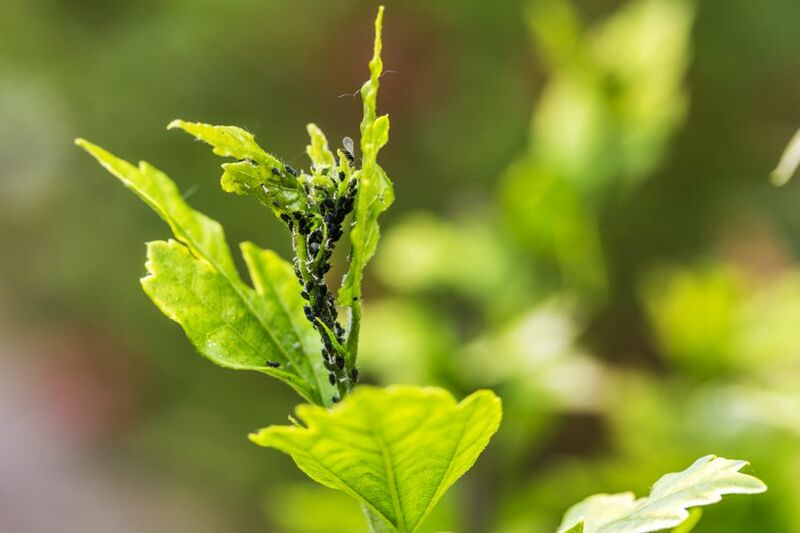 As much as we all thoroughly love those sunny days and warm evenings, summer weather is the reason why pests become a problem. Summer pests are a vegetable gardener’s nightmare, but there are ways to help combat them. 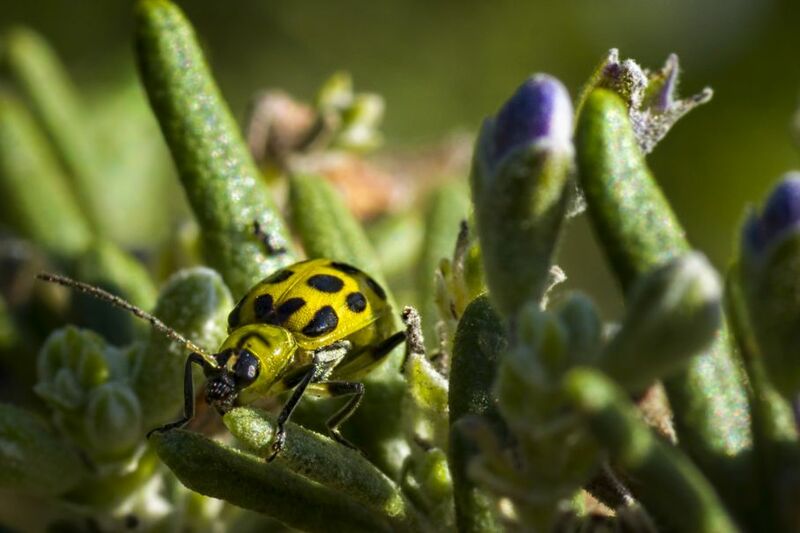 Read up on this quartet of the most destructive garden pests, and learn how to remove them before they destroy your precious garden. The best way to keep animals out of your vegetable garden is to frequently weed your beds. As you’re combing through, check the leaves and flowers of your plants. Some of the common signs of a vegetable garden pest issue are holes, brown/dark spots, or tiny larvae on the back of the leaves. 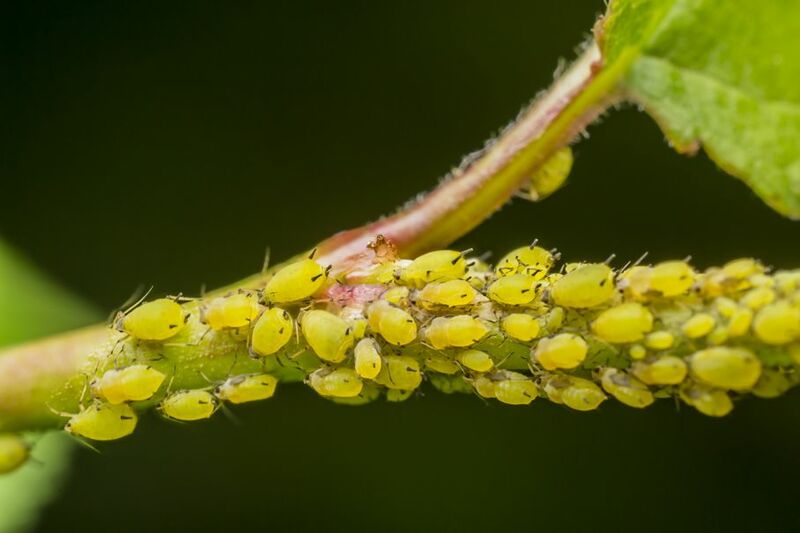 Aphids are most likely the first pest you’ll notice in your garden, and although they appear small and fragile, they’re anything but. These green, white, or sometimes even light-brown bugs are known as sap-suckers because they literally ingest the sweet sap from a plant’s phloem vessels. I’ve noticed that aphids love my tomato and bean plants, but they can also be found feasting on virtually every type of vegetable plant. These little buggers shut down the growth of your plants and are known to transmit diseases that can potentially kill your vegetable plants. The Remedy: You could try to remove aphids by hand, but you’ll notice that this is quite difficult. 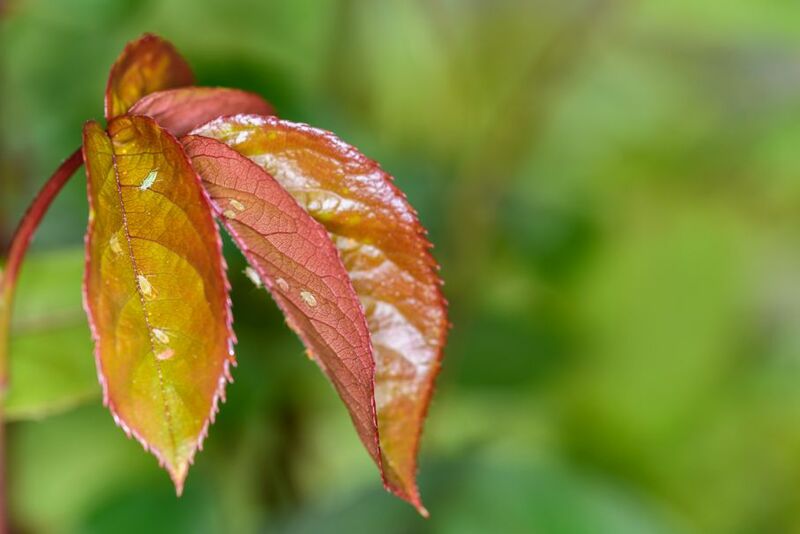 Instead, spray with water to remove the aphids from the plant, or create a 1:5 solution of dish soap to warm water and spray on the leaves’ undersides. Cucumber beetles love the thick, lush leaves of cucumber and squash plants. You’ll notice their damage immediately because your vines will quickly wilt and all the leaves will have brown holes. These beetles have a characteristic orange/red body with black vertical stripes or black spots. Ever the opportunists, cucumber beetles devour vegetable seedlings, especially if they’re planted early in the season. The Remedy: For starters, plant your cucumbers/squash plants later in the season so the plant has more time to grow in a safe environment. Once you notice a few cucumber beetles, start removing them by hand. These tiny (quite adorable actually) caterpillars/larvae of the gray hawk moth wreak havoc on vegetables — and they don’t discriminate. They eat through fruits, leaves, stems, and more. 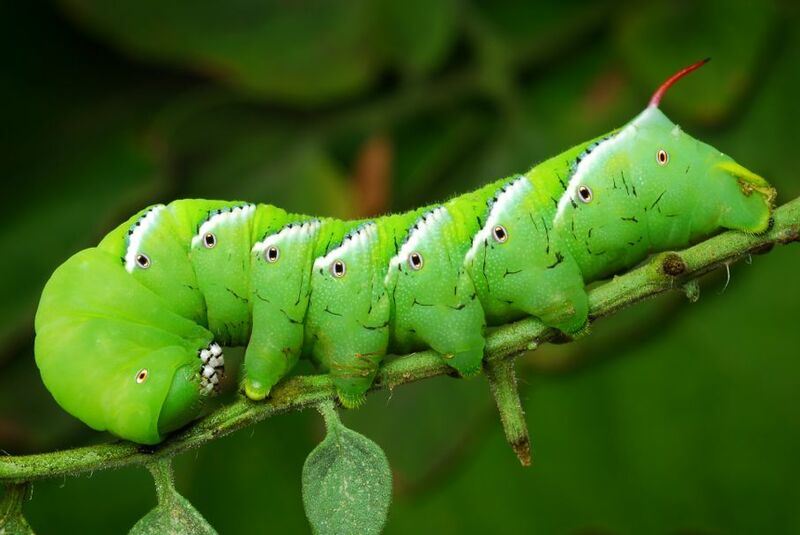 If “The Very Hungry Caterpillar” were written about a particular species, it would be this one! The tomato hornworm’s biggest distinguishing feature is a line of eight brown V’s on its backs. The Remedy: Remove by hand and destroy by putting into soapy water or flushing down the toilet. If you simply move them to another spot in your yard, they’ll come back. I had major issues with squash bugs on my yellow squash and zucchini plants last year. So much so, in fact, that I just gave up and removed the plants from my garden. The first sign of a squash bug infestation was a cluster of tiny black bugs and a few egg masses on the back of my squash leaves. Within a week, my squash plants were almost decimated. 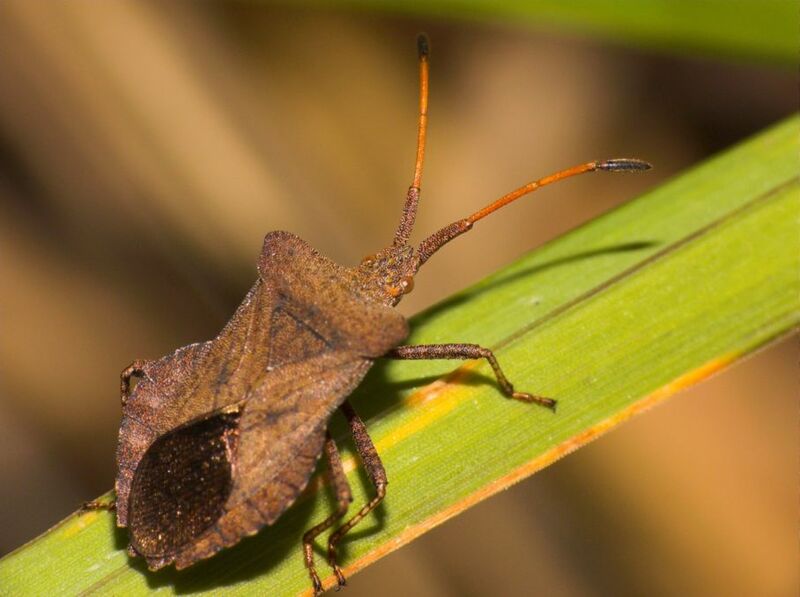 Squash bugs resemble the “stink bugs” that are commonly found on both the east and west coasts, but squash bugs do major damage to a garden. The Remedy: Remove the egg masses as soon as you see them. If you notice many adult squash bugs, spray with a 1:5 solution of vinegar to water or remove and soak them in the solution. Even if your garden becomes infested, don’t give up hope. When in doubt about what type of pests are destroying your vegetable garden, do a bit of research. 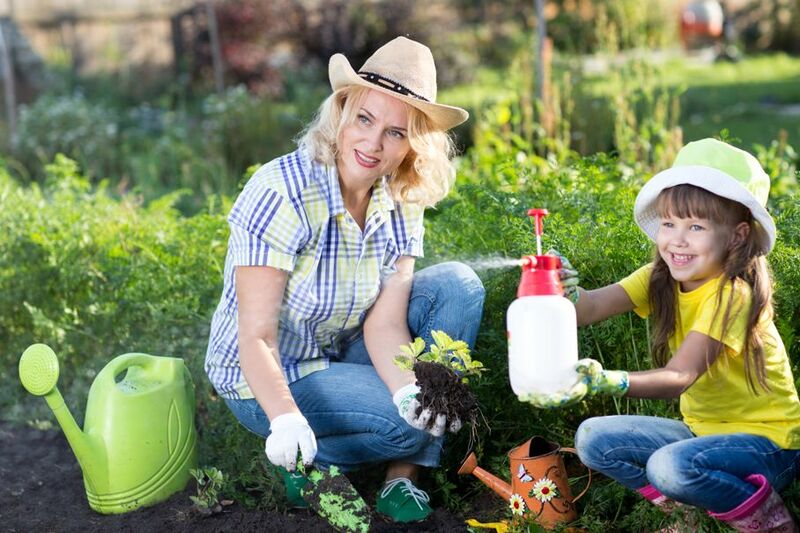 There’s a good chance you’ll notice that natural pest repellents like dish soap, diatomaceous earth, and vinegar solutions work just as effectively as chemical-based ones.